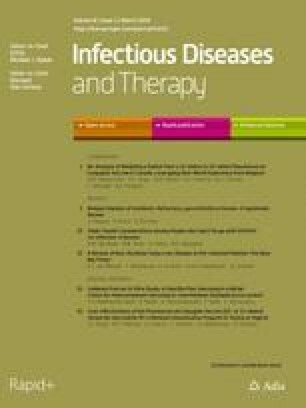 This retrospective analysis compares the probability of target attainment (PTA) for ceftriaxone, levofloxacin and ceftaroline fosamil against Staphylococcus aureus, Streptococcus pneumoniae and Haemophilus influenzae in a representative patient population with moderate-to-severe community-acquired pneumonia (CAP). Published pharmacokinetic (PK) models for levofloxacin and ceftriaxone, and an existing model for ceftaroline, were used with standard dosage regimens for simulating individual PK data with covariates representative of patients with CAP (5000 patients/drug regimen). PTA for clinically relevant pharmacokinetic/pharmacodynamic (PK/PD) targets was calculated from steady state PK profiles for a range of minimum inhibitory concentrations (MICs). Cumulative fractions of response (CFRs) were also calculated using MIC distributions from 2012 to 2017 global surveillance data. Ceftaroline fosamil (600 mg q12 h) achieved > 90% PTA at all exposure targets for each pathogen at European Committee on Antimicrobial Susceptibility Testing (EUCAST)/Clinical and Laboratory Standards Institute (CLSI) susceptibility breakpoints, and CFRs were > 99%. Ceftriaxone, but not levofloxacin, achieved 100% PTA and > 90% CFR against S. pneumoniae. Both levofloxacin and ceftriaxone achieved high PTA and CFR against H. influenzae. Levofloxacin achieved PTAs < 90% at EUCAST/CLSI breakpoints and ceftriaxone achieved PTAs < 90% at MICs up to 2 mg/L against S. aureus; both agents produced generally low CFRs against S. aureus (except levofloxacin against methicillin-sensitive S. aureus), reflecting the lack of activity of these agents against methicillin-resistant S. aureus. Ceftaroline fosamil demonstrated higher overall PTA rates than levofloxacin and ceftriaxone, in particular against S. aureus. These results provide insight regarding the potential comparative efficacy of the described antibiotics for moderate-to-severe CAP. To view enhanced digital features for this article go to https://doi.org/10.6084/m9.figshare.7879775. Community-acquired pneumonia (CAP) causes high levels of morbidity and mortality, and international treatment guidelines have been developed in efforts to improve its management and clinical outcomes [1, 2]. Empiric treatment failure rates in patients with CAP are considerable, with significant clinical and economic consequences, including longer hospital stays and increased treatment costs . There are various antibiotics or antibiotic combinations available for the empiric treatment of CAP [1, 4]; two that are commonly used alone in the setting of moderate-to-severe CAP requiring hospitalization (as assessed by the pneumonia severity scale or Pneumonia Patient Outcomes Research Team [PORT] score)  are the cephalosporin ceftriaxone, which is administered once daily intravenously (IV) at a dose of 1000–2000 mg , and the fluoroquinolone levofloxacin, which is given once daily, either IV or orally, at a dose of 500 mg or 750 mg . The cephalosporin ceftaroline fosamil (600 mg, administered twice daily IV) is also approved for the treatment of moderate-to-severe CAP, and complicated skin and soft-tissue infections (cSSTI) [8, 9]. Streptococcus pneumoniae, Staphylococcus aureus and Haemophilus influenzae are among the most frequently encountered pathogens in CAP . All three drugs investigated in the present analysis have proven in vitro activity and clinical efficacy against these pathogens [1, 4]. However, ceftriaxone is not active against methicillin-resistant S. aureus (MRSA), and levofloxacin has variable activity against MRSA. By contrast, ceftaroline demonstrates bactericidal activity against MRSA in vitro . Although approved for the treatment of MRSA in cSSTI, ceftaroline fosamil is not approved for the treatment of MRSA in CAP, due to limited clinical data [8, 9]. Ceftaroline has also demonstrated improved in vitro potency versus ceftriaxone against S. pneumoniae . Antibiotic effectiveness is dependent on both the relative susceptibility and the exposure of the microorganism to the drug. Probability of target attainment (PTA) analysis compares plasma exposure of an antibiotic dosing regimen in a patient population against a target exposure associated with efficacy, expressed relative to the minimum inhibitory concentration (MIC) of the target pathogen to the antibiotic. The cumulative fraction of response (CFR) can also be determined using pharmacokinetic (PK) and PTA simulations and MIC distributions for a given population of bacteria , and enables prediction of achievement of pharmacokinetic/pharmacodynamic (PK/PD) targets for commonly used dosage regimens against pathogens encountered in recent clinical practice. The choice of the PK/PD index and the associated target value are usually determined preclinically; the most clinically relevant PK/PD index for β-lactams (including ceftriaxone and ceftaroline) is the percentage of time that free concentration is above the MIC (fT > MIC), whereas for fluoroquinolones it is the free area under the concentration–time curve:MIC ratio (fAUC/MIC) . PTA analysis can be used to optimize and justify dosage regimens, and to guide dosing recommendations in specific patient populations. Therefore, it is of interest to evaluate the comparative PTA against common CAP pathogens among antibiotics that are commonly used in the treatment of CAP. This analysis compared the PTAs and CFRs of ceftaroline fosamil, levofloxacin and ceftriaxone against S. pneumoniae, H. influenzae and S. aureus in a simulated patient population with moderate-to-severe CAP. After a literature review of published population PK models for levofloxacin and ceftriaxone, models were selected based on high numbers of patients, representative of a CAP population in Europe and sufficient information on model parameters for simulation. These models were validated by verifying that they could be used to reproduce/simulate the summary published data. The PK model for ceftaroline was based on individual data from the ceftaroline clinical development program. The analysis in this article is based on previously conducted studies and does not involve any new studies with human or animal subjects performed by any of the authors. In total, 272 subjects were included in the model dataset, with 172 in the model generation group and the remaining 100 used for external validation . Included subjects had community-acquired infections of the skin (19.1%), respiratory tract infections (69.5%) or urinary tract infections (11.4%). The study collected up to five plasma concentrations per patient after three IV doses of levofloxacin. In total, 709 samples from 54 patients who were critically ill were included in the model dataset, of whom 33 had a lung infection . Of the 54 included patients, 20 participated in a full PK study, during which 10 blood samples were taken per patient. The remaining 34 patients took part in a sparse sampling scheme. The final ceftaroline PK model included 2575 ceftaroline fosamil concentrations and 8174 ceftaroline concentrations from 951 subjects, pooled from 21 Phase 1, 2 and 3 studies, and included patients with CAP (n = 214) and cSSTI (n = 463), as well as healthy subjects (n = 267) and non-infected patients on haemodialysis (n = 8) . Ceftaroline fosamil and ceftaroline were modelled simultaneously, using two-compartment models with 100% conversion of ceftaroline fosamil into ceftaroline. Model development, validation and covariate analysis have been reported previously . Direct comparisons of PTAs between drugs were possible by applying the relevant population PK models to the same simulated CAP patient population for each drug and dosage regimen. Type of infection (CAP or cSSTI) was not a covariate in the models and assumed not to influence the PK; however, the ceftaroline model accounted for differences between patients and healthy volunteers. For each continuous covariate, 5000 values were simulated using the rtruncnorm function in the R package ‘truncnorm’ . The same covariates evaluated for all three drugs were race, age, weight and creatinine clearance (CrCl) (Table 1). Means, standard deviations (SDs), and lower range limits for age and CrCl were simulated using values reported in the model for levofloxacin by Preston et al. , which consisted of 69.5% patients with CAP. Race was set as follows: Caucasian = 60%, Black = 29%, Hispanic = 10%, and other = 1%, based on the patient sample for the levofloxacin model . To reflect typical CrCl age-related changes, CrCl was increased by 1 mL/min for every year under 47 years and decreased by 1 mL/min for every year over 47 years. This caused some of the CrCl values to be very low. Therefore, if CrCl was < 5 mL/min following the adjustment, it was subsequently set at 5 mL/min. This affected 21 (0.42%) simulated patients. Levofloxacin 31% binding/69% free fraction (average across multiple values from the literature [19, 20, 21, 22]). Ceftriaxone Cfree = ½ [− (544.248 − Ctot) + √((544.248 − Ctot)2 + 4 Ctot/0.0367)] (used in the ceftriaxone model by Garot et al. , referenced to Kodama et al. ). Ceftaroline 20% binding/80% free fraction . PK/PD targets for levofloxacin and ceftaroline were identified from the literature and the European Committee on Antimicrobial Susceptibility Testing (EUCAST) guidelines, and the percentages of simulated patients reaching the targets were calculated. Levofloxacin targets related to efficacy were: fAUC/MIC > 33.7 for S. aureus and S. pneumoniae, and > 100 for H. influenzae [19, 24]. Ceftaroline targets were fT > MIC for bacteriostasis (26.8, 35 and 48.5% for S. aureus, S. pneumoniae and H. influenzae, respectively) and for 1-log10 colony-forming unit (CFU) reductions (30.7, 44 and 73%, respectively); fT > MIC targets associated with 2-log10 CFU reductions were also assessed for S. aureus (34.7%) and S. pneumoniae (51%) [17, 25]. No published PD targets were identified for ceftriaxone from the literature; therefore, a wide range of targets were evaluated: 20% fT > MIC, 50% fT > MIC and 80% fT > MIC. Standard dosage regimens for each drug were used: levofloxacin: 500 mg 1-h infusion, q24 h, and 750 mg 1-h infusion, q24 h; ceftriaxone: 2000 mg 0.5-h infusion, q24 h; ceftaroline: 600 mg 1-h infusion, q12 h.
Total drug concentrations for ceftriaxone and ceftaroline were simulated at steady-state (Day 4) using NONMEM v.7.2, and free concentrations were calculated in R v.3.3.0. Interpatient variability on clearance was not stated in the original levofloxacin model paper , but we estimated the coefficient of variance to be 36.1%, based on the coefficient of determination (r2), SD and mean of the clearance in Preston et al. . Levofloxacin clearance was simulated using Cl = (5.945 + race + age × − 0.032 + CrCl × 0.07) × exp(var), where var is generated randomly using the rnorm command in R for 5000 individuals using a normal distribution of mean 0 and SD of 0.361. However, with the linear model, this can result in some individuals having a negative clearance value. To counter this, if a clearance value was < 0.1, the value was subsequently set at 0.1. This affected 82 (1.64%) subjects. To account for protein binding, free AUC (fAUC) was then calculated as follows: fAUC = daily dose/Cl × 0.69, where 0.69 represents the free fraction. MIC data for each of the three drugs against the various bacteria were taken from the Assessing Worldwide Antimicrobial Resistance Evaluation (AWARE) surveillance program (2012–2017 combined; data cut-off November 2017). Table 2 presents the MIC values required to inhibit 50% (MIC50) and 90% (MIC90) of organisms, and susceptibility/resistance of the three pathogens to the three drugs, using the AWARE data and based on both EUCAST and Clinical and Laboratory Standards Institute (CLSI) current susceptibility breakpoints. Achievement of PK/PD targets for each drug for MICs of 0.03–32 mg/L for each pathogen were calculated from the steady-state PK profiles. PTAs for all drug regimens were calculated using the percentage of the simulated patients that were at or above the target at each MIC. CFRs were calculated by multiplying the PTA by the cumulative proportion of bacterial isolates at each MIC from the AWARE surveillance program, with results summated for each drug/dosage regimen. Figures 1, 2 and 3 show PTA by MIC with the AWARE MIC distributions and EUCAST/CLSI breakpoints for each pathogen/drug. For S. aureus, PTA was < 90% for levofloxacin (500 mg/day and 750 mg/day for the target of fAUC/MIC > 33.7) at the EUCAST breakpoint. For ceftriaxone (2 g/day), PTAs were < 90% at the two higher exposure targets, but were around 90% at the lowest target (20% fT > MIC) (Fig. 1). By contrast, PTA was 100% at all exposure targets for ceftaroline fosamil (600 mg, q12 h) (Fig. 1). For S. pneumoniae, PTA was < 90% for levofloxacin, > 90% for ceftriaxone and 100% for ceftaroline fosamil (Fig. 2). PTA was 100% for all drugs for H. influenzae (Fig. 3). PTAs at the CLSI breakpoints against all three bacterial species were generally lower than those based on the lower EUCAST breakpoints, with this difference particularly pronounced for H. influenzae. CFRs were > 99% for ceftaroline fosamil for each bacterial species across all targets (Table 3). Both levofloxacin and ceftriaxone had CFRs > 90% against H. influenzae, but low CFRs against S. aureus, regardless of dose or target (Table 3). Levofloxacin had CFRs > 90% against methicillin-sensitive S. aureus (MSSA) and ~ 50% against MRSA, but for ceftriaxone, CFRs were lower for both MSSA and MRSA. Ceftriaxone CFRs were > 90% against S. pneumoniae, but CFRs for levofloxacin against S. pneumoniae were < 90% for both the 500 mg/day and 750 mg/day doses (Table 3). The aim of this modelling analysis was to utilize published PK models and PD targets to evaluate and compare PTA and CFR for three antibiotics against three bacterial species that are frequent causes of CAP in the same single simulated CAP patient population. Ceftaroline fosamil demonstrated higher overall rates of target attainment than levofloxacin and ceftriaxone, in particular against S. aureus. Streptococcus pneumoniae remains the most common causal CAP pathogen, although it is becoming increasingly resistant to various antibiotics . In the present analysis, ceftriaxone achieved > 90% PTA and CFRs against S. pneumoniae. However, levofloxacin achieved < 90% PTA and CFR against S. pneumoniae at both 500 mg/day and 750 mg/day. Previous studies have demonstrated higher rates of target attainment with levofloxacin, particularly at the higher dose. However, there were methodological differences between the studies. Noreddin et al. found that levofloxacin 750 mg resulted in high (generally > 90%) PTA against S. pneumoniae in both elderly (age ≥ 65 years; > 90%) and younger (age < 65 years; ~ 90%) patients with CAP. Noreddin et al. used a PD index of AUC/MICall. Although they did not explicitly state the MICall, it appears that most of the MICs from the surveillance study they used were 1 mg/L . For younger patients (mean of 53 years, compared with 49 years in this study) they found a PTA of 89.9% using an AUC/MICall ratio of 30 and 81.1% using a ratio of 40 and a dosing regimen of 750 mg daily. At a MIC of 1 mg/L, we modelled a similar PTA of 83.5% using an AUC/MIC ratio of 33.7 with the same dose (Fig. 2a). Noreddin et al. found higher PTAs for levofloxacin against S. pneumoniae in elderly patients with CAP, suggesting that PTAs may be higher in older cohorts than in the simulated population used here. Cao et al. found PTAs for S. pneumoniae close to 100% (MIC of 1 mg/L) with levofloxacin 750 mg, although the PK modelling was based on nine healthy Chinese volunteers . The PK model used in the present analysis utilized race as an important covariate of clearance, but the subjects were mainly Caucasian (60%), Black (29%) or Hispanic (10%) . Therefore, this model may not be applicable to other races. Staphylococcus aureus is another important Gram-positive pathogen associated with CAP, particularly in hospitalized patients with more severe infections . In the multinational, randomized controlled Phase 3 FOCUS 1 (NCT00621504) and FOCUS 2 (NCT0050910) CAP clinical studies [29, 30], S. aureus was the second most frequent causative pathogen isolated overall. In the present study, both levofloxacin and ceftriaxone exhibited PTAs < 90% and low CFRs against S. aureus, regardless of dose in the case of levofloxacin, or exposure target in the case of ceftriaxone. In total, 58.6% of S. aureus isolates in the AWARE dataset were categorized as MRSA, and the relatively low PTAs and CFRs for these two agents are reflective of the limited activity of levofloxacin and ceftriaxone against MRSA, for which neither are recommended as treatment [6, 7]. When the analysis was restricted to MSSA isolates only, levofloxacin exhibited CFRs > 90%, but ceftriaxone CFR remained < 90% at all exposure targets. By contrast, ceftaroline fosamil achieved CFRs of 100% against MSSA across all targets (Table 3). Ceftaroline fosamil is a fifth-generation cephalosporin that has potent in vitro activity against MRSA, and in the present study achieved high PTA and CFR against MSSA and MRSA at all exposure targets. Approval of ceftaroline fosamil for the treatment of adults with CAP was based on data from the pivotal FOCUS 1 and FOCUS 2 studies [29, 30]. However, as these studies did not include patients with MRSA (due to lack of activity of the comparator, ceftriaxone, against MRSA), ceftaroline is not approved for the treatment of CAP due to MRSA. Current treatment guidelines generally recommend vancomycin or linezolid as first-line therapy in patients with suspected MRSA [1, 2]. However, emerging S. aureus resistance, or reduced susceptibility, to these agents is a growing concern [31, 32]. Furthermore, vancomycin may be a suboptimal therapeutic option in patients with MRSA pneumonia . Although community-acquired MRSA is currently rare in most countries, it is generally considered to be an emerging problem in CAP treatment, particularly among patients with preceding influenza or cavitary infiltrates . The ceftriaxone PK model by Garot et al. was selected for use in this analysis as this was the most representative published PK model with the largest patient sample size. Although it is based on only 54 critically ill patients and, of these, only 33 had a lung infection , other published analyses have relied on PK models based on even smaller datasets [34, 35]. No published PD targets for ceftriaxone were identified through a literature search. The PD target used is important for interpreting the clinical relevance of the PTA analysis. As a 30–50% fT > MIC is often assumed for β-lactams [36, 37, 38], a wide range of targets were evaluated for ceftriaxone in the present analysis: 20% fT > MIC, 50% fT > MIC and 80% fT > MIC. As only the free unbound drug concentration at the target site is pharmacologically active, the extent of protein binding must also be considered when predicting rates of target attainment. Ceftriaxone is highly protein-bound at low concentrations, but becomes less bound at higher concentrations . Garot et al. used the equation from Kodama et al. to predict free concentrations of ceftriaxone. However, this method was subsequently found to consistently predict higher free ceftriaxone concentrations than measured free concentrations . As higher free concentrations will result in higher PTA predictions, this should be taken into account when interpreting the observed PTA results for ceftriaxone in the current analysis. Given the questions regarding the ceftriaxone protein binding model and the relatively small number of subjects included, predictions derived for ceftriaxone must be interpreted with caution, thus representing a limitation of the analysis. Housman et al. found similar PTA and CFR results for ceftaroline and ceftriaxone as in the present analysis. The methods and patient covariates used differed slightly from those used here, and the Housman analysis used only one PK/PD target per drug. However, of the comparative PTA studies in the current literature, the Housman analysis is most similar in approach to the current analysis. A strength of the present study is the use of population PK models to directly compare the PTA between the three antibiotics using the same simulated patient population. This analysis presents a common relevant covariate distribution from the target population, as well as using between-subject variation in PK parameters for each of the drugs derived from patients, and accounting for the differences in MIC distributions between bacterial species . Previous studies have also compared the PTA of various antibiotics [42, 43, 44]. However, these studies used means/SDs of PK parameter values from the literature to simulate exposure and determine PTA, rather than the PK/PD modelling approach used here. Compared with these previous studies, our analysis has the advantage of allowing a more consistent comparison of PTA between three antibiotics commonly used in the empiric treatment of patients hospitalized with CAP. A further strength of the current study is the use of the same recent global surveillance database of isolates at each MIC for all three drugs analysed. CFR calculations were carried out using MIC data from the AWARE surveillance program (2012–2017 combined). As the proportions of bacterial isolates at each MIC for each antimicrobial can change as a result of the emergence of resistance over time , use of recent surveillance data will provide a more accurate estimate of whether an antibiotic is likely to be effective. However, it should be noted that local susceptibility patterns vary, and the relative frequency of MRSA differs geographically, with the highest rates reported in North and South America, East Asia and Malta ; therefore, local susceptibility data should be taken into account when making empiric treatment decisions. Limitations of the study include the fact that, while the ceftaroline model accounted for differences between patients and healthy volunteers, infection type was not included as a covariate and was assumed not to influence the PK for any of the drugs. Additionally, the PK models for levofloxacin and ceftriaxone are based on much smaller datasets compared with ceftaroline, requiring more assumptions. The present analysis compared plasma exposure against target exposure for efficacy for each antibiotic dosing regimen. As antimicrobial efficacy in pneumonia depends on sufficient drug levels at the pulmonary infection site, concentrations in epithelial lining fluid (ELF) are often considered to best represent antibiotic activity. Therefore, not taking into account differential ELF penetration of the individual drugs could be considered a limitation of this study. The penetration of ceftaroline and levofloxacin into ELF has been shown to be ~ 23% and ~ 43%, respectively [47, 48], whereas ELF data for ceftriaxone are not available. However, to date, PK/PD targets in ELF have not been shown to be well correlated with clinical or microbiological outcomes in patients with pneumonia, with plasma concentration data often providing better predictions of efficacy [47, 49]. A final limitation of the study is the uncertainty around the free concentrations of ceftriaxone, and the relatively small numbers of subjects in the ceftriaxone model; given these factors, predictions for this drug should be interpreted with caution. PTA analysis, together with efficacy and safety results from Phase 3 trials, is a valuable tool in the optimization of dosage regimens and has an important role in the approval of contemporary antibiotics . Clinical trials of new antibiotics for the treatment of CAP are generally designed as head-to-head comparative studies, typically using a non-inferiority study design. Such studies provide valuable information with regards to comparative clinical efficacy and safety, and are necessary to enable the approval of new antibacterial therapies for CAP . The FOCUS 1 and FOCUS 2 Phase 3 studies demonstrated non-inferiority of ceftaroline fosamil to ceftriaxone in adults hospitalized with CAP [29, 30]. In FOCUS 1, clinical cure rates were 88.9% versus 66.7% for ceftaroline versus ceftriaxone, respectively, against S. pneumoniae, 80.0% versus 64.3% against S. aureus and 87.5% versus 90% against H. influenzae . Corresponding cure rates in FOCUS 2 were 83.3% versus 70% against S. pneumoniae, 66.7% versus 56.3% against S. aureus and 100% versus 75.0% against H. influenzae . A follow-up analysis of patients with S. pneumoniae infection from the FOCUS 1 and FOCUS 2 studies demonstrated that the association of ceftaroline with higher cure rates versus ceftriaxone was statistically significant . Furthermore, a subsequent Phase 3 randomized controlled trial in Asian patients (NCT01371838) demonstrated the superiority of ceftaroline fosamil over ceftriaxone in Asian patients with PORT III–IV CAP . There is a lack of comparative data for levofloxacin versus either ceftriaxone or ceftaroline. These Phase 3 data suggest that ceftaroline fosamil should be considered as a replacement to ceftriaxone for the cephalosporin constituent of empirical antibiotic regimens in adult patients hospitalized with CAP. Consistent with this finding, the high PTAs demonstrated here further support the use of the approved ceftaroline fosamil dosing regimens for treatment of patients with moderate-to-severe CAP, particularly in the empiric treatment setting. Ceftaroline fosamil demonstrated higher overall rates of target attainment against three common bacterial CAP pathogens than levofloxacin and ceftriaxone, in particular against S. aureus. The results of this analysis, together with current surveillance data, may provide insight to clinicians regarding the potential comparative efficacy of the three described antibiotics. Clinical data are needed to confirm these simulations of target attainment and patient outcome. The current analysis and the article processing charges were funded by Pfizer. All authors had full access to all of the data in this study and take complete responsibility for the integrity of the data and accuracy of the data analysis. Medical writing support was provided by Melanie More of Prime, Knutsford, Cheshire, UK, and was funded by Pfizer. Responsibility for opinions, conclusions, and data interpretation lies with the authors. Andrew Cristinacce is an employee of Wright Dose, which received funding from Pfizer for support and assistance with this analysis. James G. Wright is an employee of, and shareholder in, Wright Dose, which received funding from Pfizer for support and assistance with this analysis. Gregory G. Stone is an employee of and shareholder in Pfizer. Jennifer Hammond is an employee of and shareholder in Pfizer. Lynn McFadyen is an employee of and shareholder in Pfizer. Susan Raber is an employee of and shareholder in Pfizer. The analysis in this article is based on previously conducted studies and does not contain any studies with human participants or animals performed by any of the authors. Upon request, and subject to certain criteria, conditions and exceptions see (https://www.pfizer.com/science/clinical-trials/trial-data-and-results for more information), Pfizer will provide access to individual de-identified participant data from Pfizer-sponsored global interventional clinical studies conducted for medicines, vaccines and medical devices (1) for indications that have been approved in the US and/or EU or (2) in programs that have been terminated (i.e., development for all indications has been discontinued). Pfizer will also consider requests for the protocol, data dictionary, and statistical analysis plan. Data may be requested from Pfizer trials 24 months after study completion. The de-identified participant data will be made available to researchers whose proposals meet the research criteria and other conditions, and for which an exception does not apply, via a secure portal. To gain access, data requestors must enter into a data access agreement with Pfizer. Hospira. Ceftriaxone sodium injection, powder, for solution. 2015. https://dailymed.nlm.nih.gov/dailymed/drugInfo.cfm?setid=03283208-8616-4117-9d2b-aa8046017a4f. Accessed 13 Dec 2018. Hospira. Levofloxacin injection, solution. 2017. https://dailymed.nlm.nih.gov/dailymed/drugInfo.cfm?setid=17bcb105-91ff-4240-bba4-29d80001bbe4. Accessed 13 Dec 2018. Pfizer. Summary of Product Characteristics: Zinforo 600 mg powder for concentrate for solution for infusion. 2017. http://www.ema.europa.eu/docs/en_GB/document_library/EPAR_-_Product_Information/human/002252/WC500132586.pdf. Accessed 13 Dec 2018. Allergan. Teflaro® (ceftaroline fosamil) for injection, for intravenous use prescribing information. 2016. https://www.allergan.com/assets/pdf/teflaro_pi. Accessed 13 Dec 2018. Trautmann H, Steuer D, Mersmann O, Bornkamp B. Package ‘truncnorm’. 2015. https://cran.r-project.org/web/packages/truncnorm/truncnorm.pdf. Accessed 1 May 2018. Hand in Scan. Global Epidemiology of MRSA. 2014. http://www.handinscan.com/global-epidemiology-of-mrsa/. Accessed 1 May 2018.